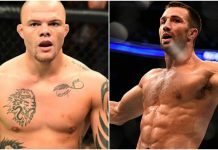 A key middleweight scrap between former title holder Luke Rockhold and perennial contender David Branch headlined tonight’s UFC Fight Night 116 card in Pittsburgh. Round one begins and Branch starts off quickly with a combination. Rockhold fires off a kick to the body followed by a low kick. 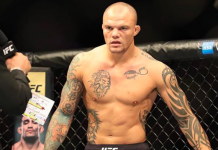 Branch presses forward and pushes Luke against the cage. The fighters engage in the clinch and then break. Branch storms after Rockhold with a flurry of punches. He is connecting. 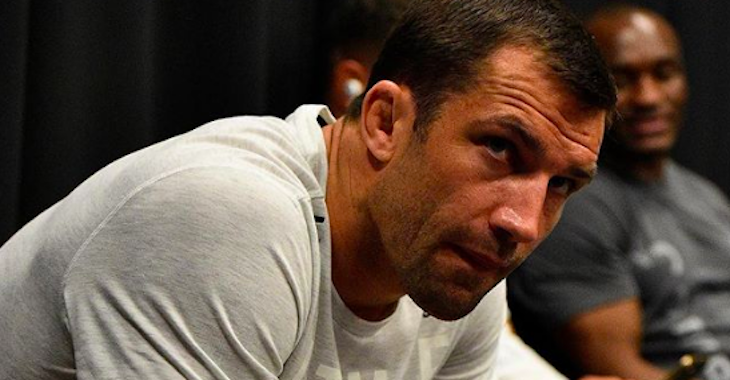 Rockhold is in trouble but manages to clinch up. Branch with a takedown but Luke is able to stand back up. 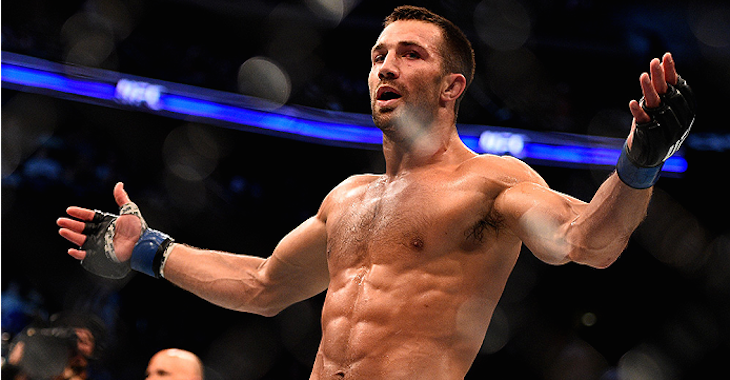 The fighters clinch again and Rockhold lands a knee. Branch fires off a knee of his own. They break and Rockhold lands an inside leg kick. Branch charges forward and lands a right hand. He presses Luke back against the cage and works some shots to the body. Rockhold switches the position and unloads a knee. The fighters break and Branch goes to the body with a jab. Rockhold with a low kick. 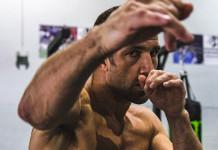 Rockhold appears to poke Branch in the eye. David charges forward and lands a right. Luke grabs a hold of the former World Series of Fighting champion and drags him to the floor. Ten seconds remain. Round one comes to an end with Rockhold on top. Round two begins and Rockhold lands a nice kick to the body. Branch comes forward and lands right hand followed by a body kick of his own. Luke circles away and then lands a heavy low kick. Branch catches a second low kick and lands a counter right hand. David goes to the body with a kick and then presses Luke against the cage. He works a knee and then some right hands over the top. Luke switches the position and lands a knee. 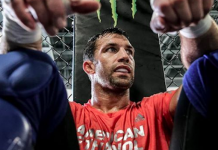 Rockhold is working hard for a takedown now. He can’t get it yet. The fighters continue to clinch. Rockhold gets double under hooks and drags Branch to the floor. He immediately moves to mount. Branch attempts to scramble but gives up his back. Rockhold with some heavy punches from the top. He is raining down the punishment now. Just over a minute remains. More shots from Rocky and this one is all over as Branch taps out.